Companies are paying homage to veterans this week with creative campaigns and offers built around Veteran’s Day, celebrated on Nov. 11. 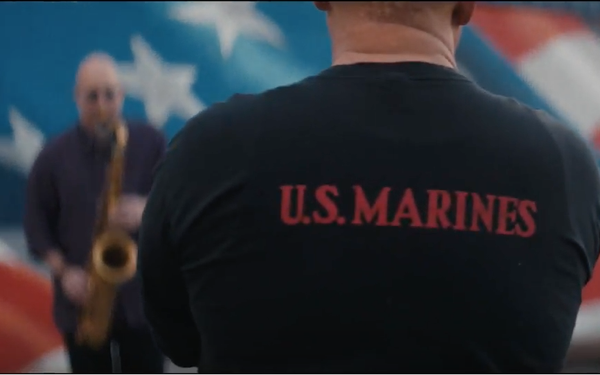 RamTrucks teamed up with musicians Jeff Coffin and Rod McGaha to create a custom studio composition mash-up of “America the Beautiful and Amazing Grace” to honor those who are serving and who have served. “Long Live the Brave,” is a #RamGivesThanks digital film initiative premiering Veteran’s Day weekend on Ram brand’s social channels and the Ram Life section of the brand’s website. Ram parent company FCA also is giving $250,000 to The Mission Continues, a veterans organization, and $50,000 to Forgotten Harvest, via its foundation, the charitable arm of the North American automaker. The grants will support community impact and workplace development initiatives for veterans who are adjusting to life at home. The foundation also pledged $180,000 to the Detroit Symphony Orchestra’s efforts to increase access to world-class music for veterans. Hyundai Motor America is thanking the men and women of the U.S. Armed Forces by doubling its military incentive and offering a stackable $1,000 discount on all new 2017 and 2018 model year Hyundai vehicles. This deal will be available to any active, veteran, or retired military personnel and applies through Nov. 17. Super 8 has a long history of recognizing service men and women—from offering the most generous military discounts in the industry to special reserved parking spots for veterans. The motel chain is offering a 20% discount off a veteran’s next Super 8 stay. The company also has partnered with Human Hug Project (HHP), an organization founded by combat veterans Ian Michael, Gino Greganti and his wife Erin Greganti, to bring awareness to PTSD and give out hugs to at risk veterans. Super 8 launched “Super 8 Stories: From The Road,” a short video from Questus on how HHP got started and how the founders are looking to help other military members and veterans with PTSD—one hug at a time. The video will live on the Super 8 site and on social media. Men’s Wearhouse has created social content called “Operation Tailored Heroes.” The spot features a Navy Seal, a Green Beret, a U.S. Marine and a Canadian Special Ops guy, all fitted in custom Men’s Wearhouse suits. They put their suits to the test with a CrossFit workout. This content will run on the Men’s Wearhouse site and social channels. The vets are wearing product from the Awear-Tech Awearness Kenneth Cole label, exclusive to Men’s Wearhouse. A proceed of all Awear-Tech suits sold go to various organization, including Hire Heroes USA, an organization that empowers U.S. military members, veterans and military spouses to succeed in the civilian workforce. The proceed donations of each Awear-Tech suit sold continue throughout the year. Home Depot Foundation is launching its first consumer-facing campaign from Atlanta-based creative agency PullSpark to engage in its efforts to provide housing for the most critically wounded veterans and ensure aging veterans have a safe place to call home. “Choose to Serve” includes this video. On the agency side, the USAA team at Publicis, comprised of staff from Saatchi, MSL, Prodigious and Publicis Media, is participating in an all-agency event to give back to those who have or are currently serving. About 50 people from the team will be sending letters to an organization called Operation Gratitude, paired with care packages of needed items to service members. Finally, the Ad Council’s Emmy-award-winning diversity and inclusion public service campaign, Love Has No Labels, is launching a video to celebrate all those who serve our country. The video, developed by Jack Morton Worldwide, introduces viewers to veterans and service members from various backgrounds to show the many faces of our military, who represent a wide range of races/ethnicities, religions, sexual orientations, genders, ages and abilities.